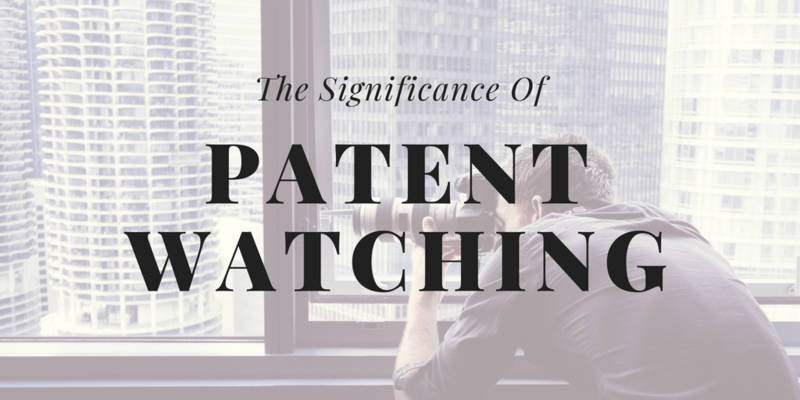 Inculcating the term, ‘search’ with ‘patent watching’ refers to a process of checking the patents at a regular period from official journals, databases, online sites, etc. for newly published granted or pending patent applications from the requirements specified at the beginning of the watch. There are many reasons due to which corporates conduct a patent watching search, from their specifications. Some might want to check their competitors in the market, while others might want to double check if their service or products are being infringed. Overall, the main aim to conduct the watch is to bring awareness about the market strategy, competitor’s potential resources, or to determine the strength of our services or products. Patent Watching: Why To Choose? To determine Novelty or perform prior art searching: A very basic idea behind availing a patent watching service is to determine the novelty in content to reduce their legal expenditure for performing extra R&D. Clients also clout report references to produce a better quality of draft while presenting prior art in front of the examiners at the time of prosecution at the Patent Trial and Appeal Board (PTAB). To determine product clearance, right-to-use or perform a freedom-to-operate search: It is relatively vital to search that your product is not infringing anyone else’s rights by conducting a product clearance search (also called as right-to-use or freedom-to-operate). It will help you to find out the market leading competitors for a specific technology area for avoiding the potential risk of infringement. To perform Validity or Invalidity search: We can perform an exhaustive validity search against the claims of any patent through our extensive domain experience, and database coverage. We work with some of the largest IP litigation firms in the United States, and our work has proven beneficial in hundreds of cases. It will enable you to monitor potential infringement risks. To perform Collection or state-of-the-art searching: This can even provide you with an overview by reviewing published patents, applications, and non-patent literature, and which will help to understand future trends. To discover competitive or technical intelligence: This can even help in identifying new competitive insights to help you manage business plans. It enables you to identify and monitor other people’s patent applications which may be challenged for the opposition in the future. To perform a subject matter specific watch: Watch can even be explicitly performed to a technical subject. In this, the search is only carried for any newly published patents or patent applications in a particular technical subject matter field. To perform search specific to proprietor/applicant name: There is also a provision to conduct a patent watching search by a specific name. It is a good option in case you want full information about the leading competitor about his all sorts of technical improvements. To monitor every phase of the patent process: It is important to watch every step of the patent application process since patent applications frequently undergo amendment during an examination. Therefore, a third party patent application which appears to be an infringement risk at the beginning of the process, may or may not remain such at the later stages. For this, monitoring is must to know about the risks associated with all the stages of a patent process. We, at The Patent Search Firm, serve our corporate clients with a range of search services that helped them in increasing productivity by outsourcing necessary search requests, reducing R&D risk with wide-ranging prior art searching, receiving excellent access to best-in-class sources and gaining fast, comprehensive results within budget. This entry was posted in Blog and tagged clearance search, Freedom to Operate Search, Invalidity Search, patent application process, patent applications, Patent Trial and Appeal Board, Patent Watch Company, patent watching service, prior art searching, PTAB. Bookmark the permalink.